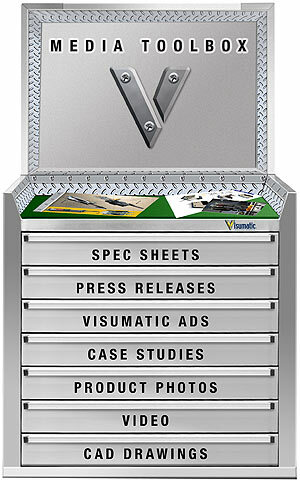 For Visumatic Reps, Customers and Industry media, Visumatic media tools are easily accessible for your use. To request this catalog in print with Visumatic's DVD Product Showcase, simply complete our "Contact Form" or call us at 859-255-7907. Certain files on this site and on the web in general, require the latest technology and/or browser plugins for viewing. These links will take you directly to free software with simple or automated installation.